Children are energetic pesterers when it comes to having their own tablet, right down to specifying the brand – my sons still badger me to use my iPad, because their Amazon Fires can’t get the YouTube app, for example. Here’s a potential alternative answer for parents: ‘You want a tablet? Build yer own!’ British company Kano has a new kit for that. Kano has made its name with a series of computing kits where children build the device, then use it to learn programming skills, create music, play games and other activities. They’ve been a more accessible way for kids to get started with the Raspberry Pi computer (which is the guts of Kano’s kits), and in the early days, they were very much ‘computers’ with keyboards and mice. The new Computer Kit Touch moves with the times, recognising that tablets are increasingly the only computer many children want to use. Once built, it’s a 10-inch touchscreen tablet – although one that still comes with a wireless keyboard. The idea remains the same to previous models: Children slot the bits together, boot up the device, then can try coding lessons, games, music-making tools and other apps. It does play Minecraft and can access YouTube, although (sorry, kids of 2018!) Fortnite is a few steps too far for the Raspberry Pi’s capabilities. As with other Kano computers, there’s an online community backing all this up: children can see what their peers are creating, and even remix those programming projects with their own ideas — something that’ll be familiar to any child who’s been using Scratch to code, where a similar remixing culture exists. The Computer Kit Touch looks brilliant, and I’ve always loved the built-it-yourself aspect: if only for children to understand what goes inside the devices they use. The caveat? It’s quite expensive at £279.99, considering that the cheapest iPad costs £319, while Amazon’s Fire tablets start at £49.99 these days. And no, you don’t get to build either of those devices, but I wonder if some parents might balk at the price nonetheless. 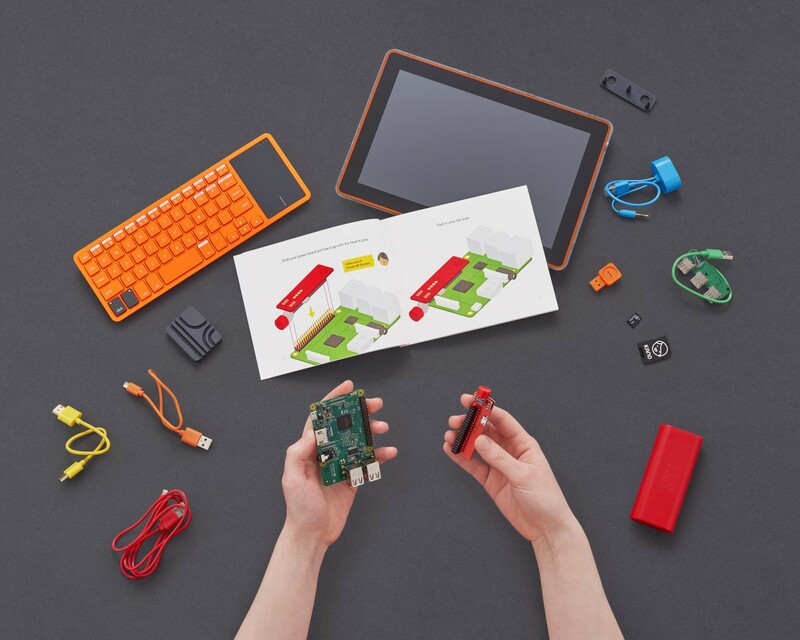 Still, for those who don’t, Kano’s new kit looks like it has a lot of fun (and learning, and quite possibly valiant attempts to code Fortnite in Scratch) in store for the children who get their hands on it.